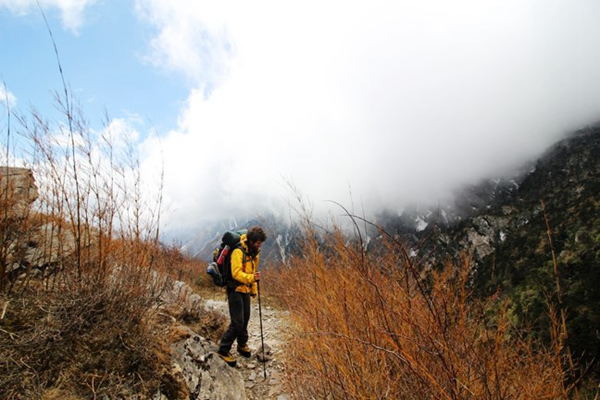 We wake up in our tents, enjoy a hot cup of tea or coffee and have breakfast. 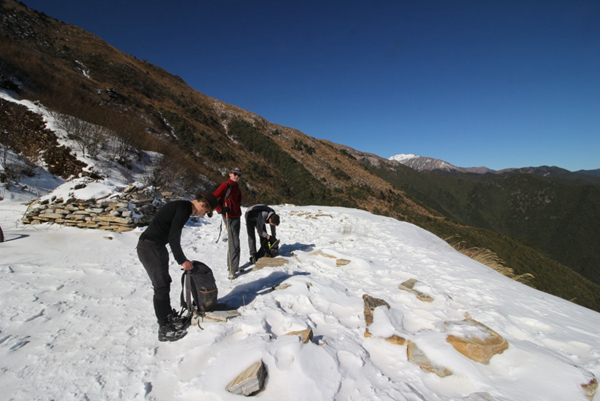 After breakfast, we pack up camp and get ready to head for the summit. 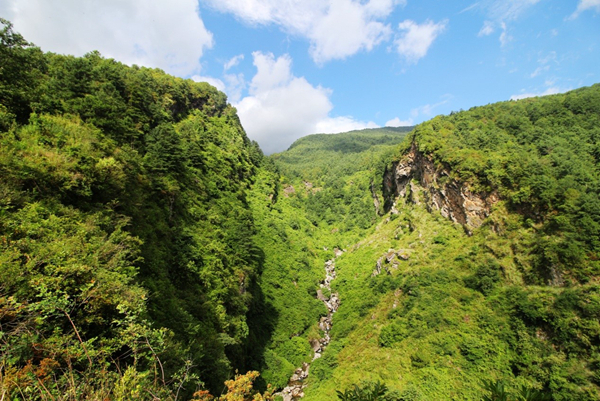 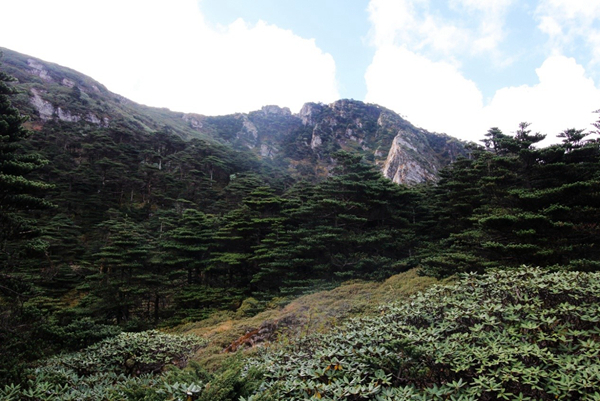 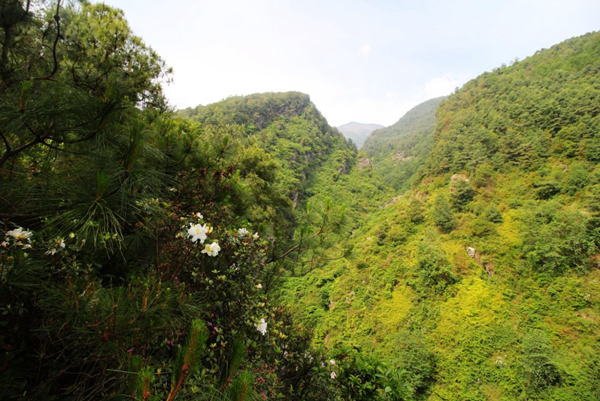 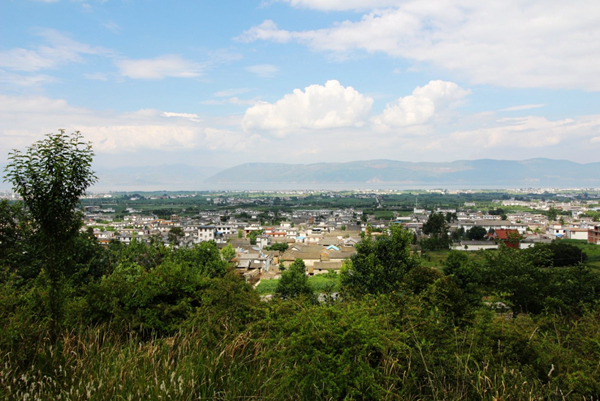 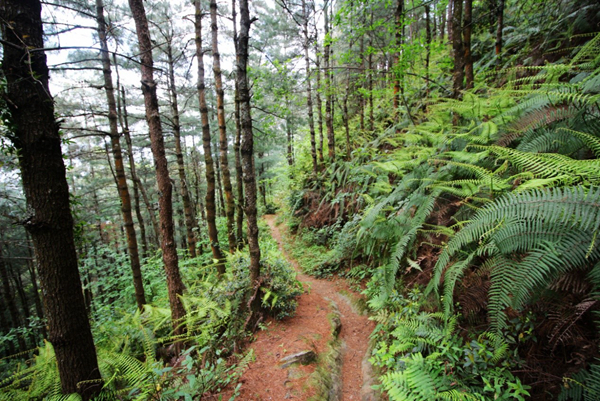 Cangshan mountain actually has 19 summits and one of them is directly above and behind our campsite. 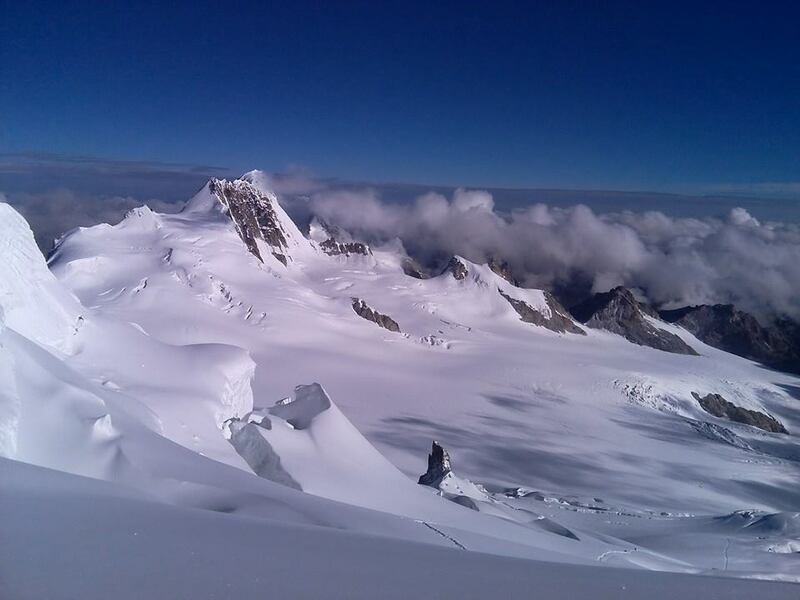 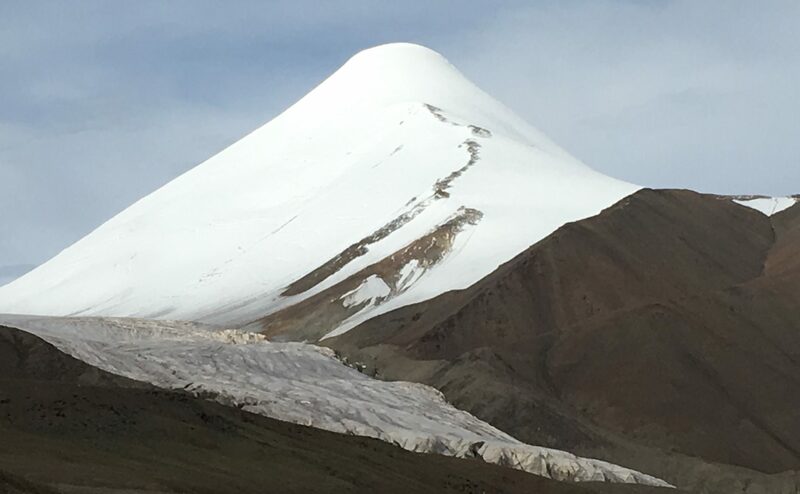 At roughly 4050 metres above sea level, the summit is about 300 vertical metres above our campsite and takes about 1.5 hours to reach. 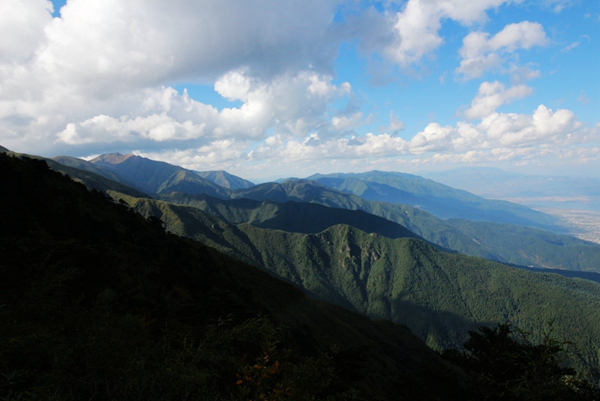 From our campsite next to the lakes, the summit is blocked from view by a cliff. 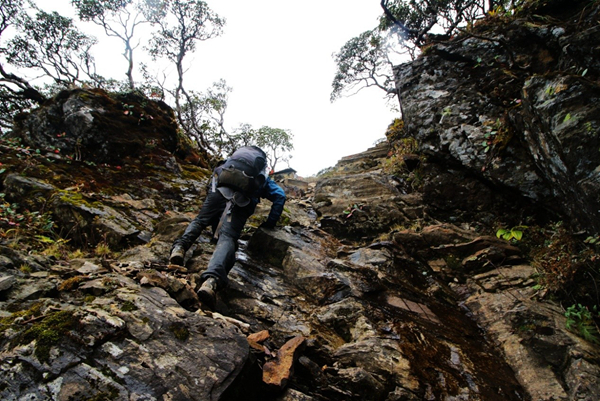 Getting to the summit ridge involves first scrambling up a small scree slope to the base of the cliff, then hiking along a narrow path that zigzags up the cliff face to a wide plateau above it. 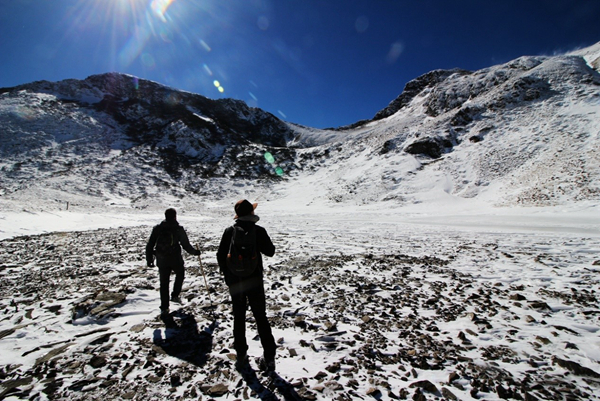 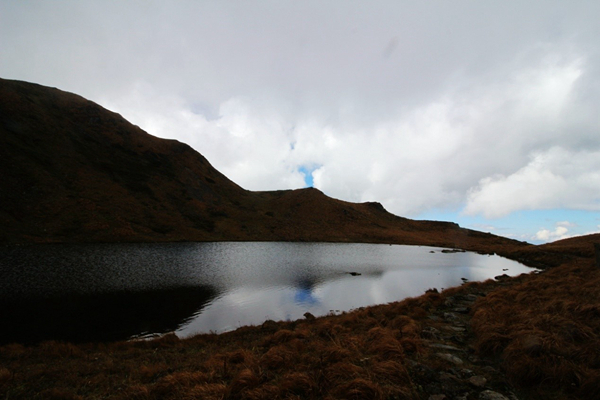 In the middle of the plateau is a large pond that lies just under the summit at an elevation of about 3900 metres (12,795 feet). 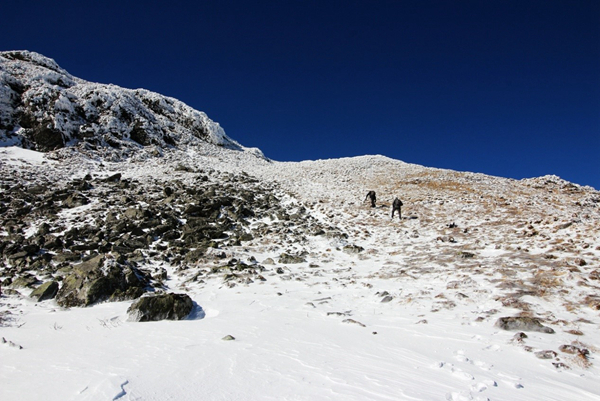 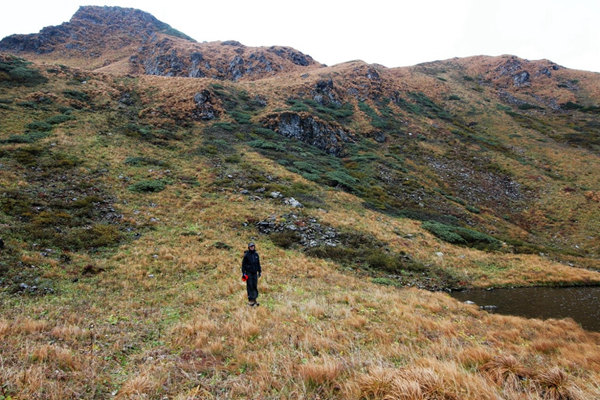 From the pond, it’s a simple hike up a grass (or snow) slope to the summit. 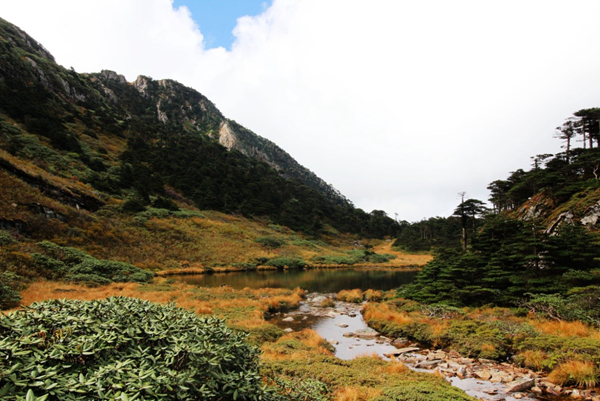 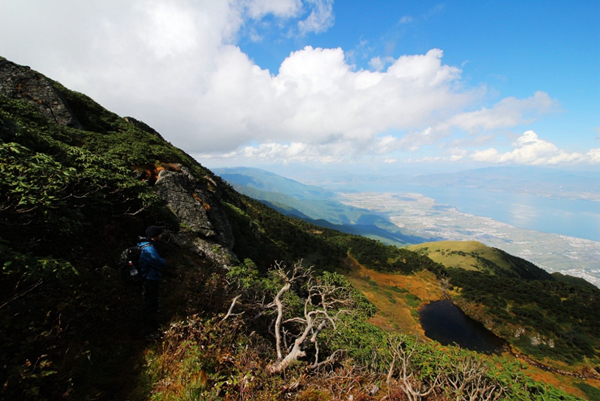 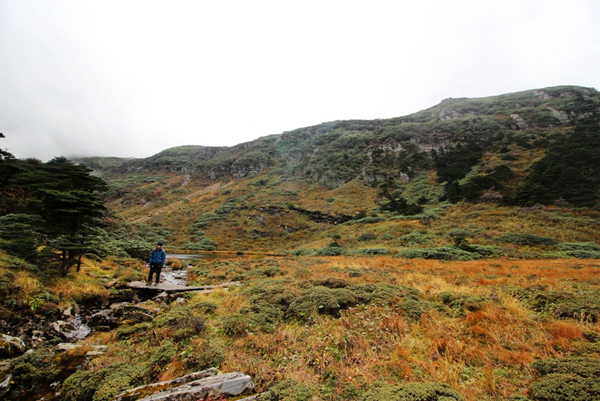 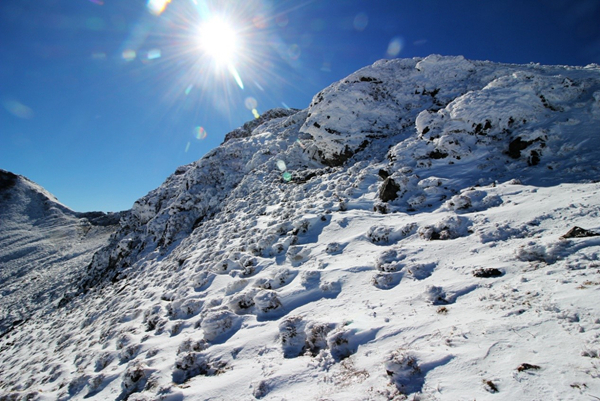 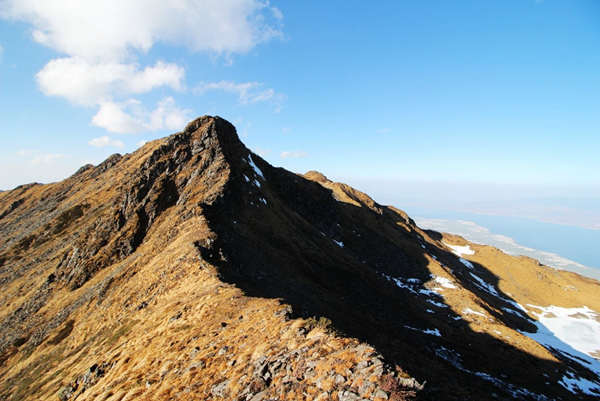 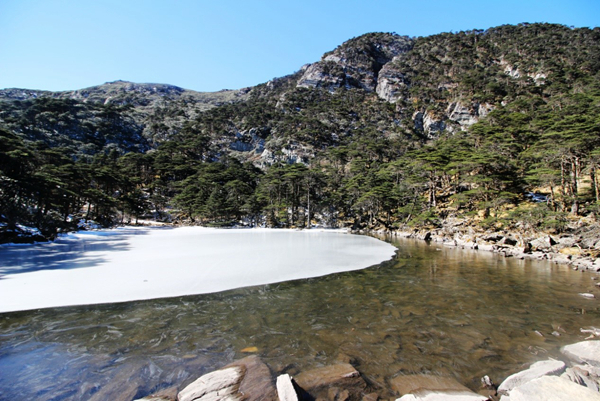 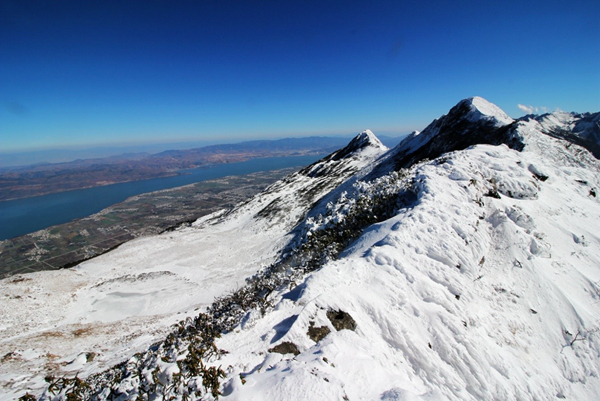 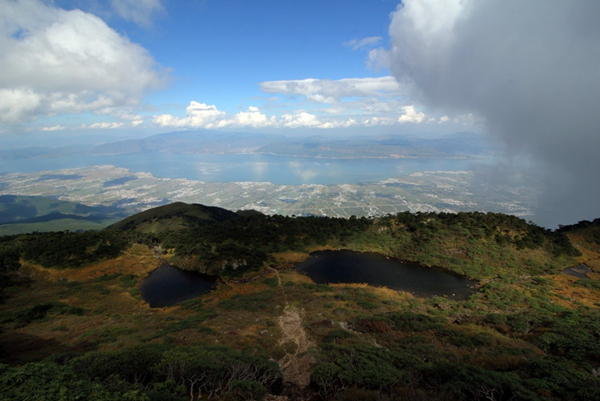 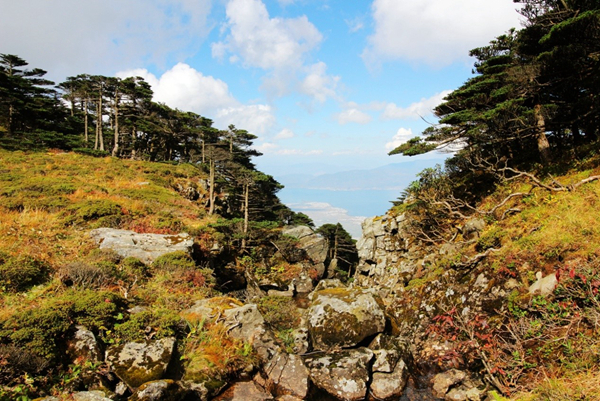 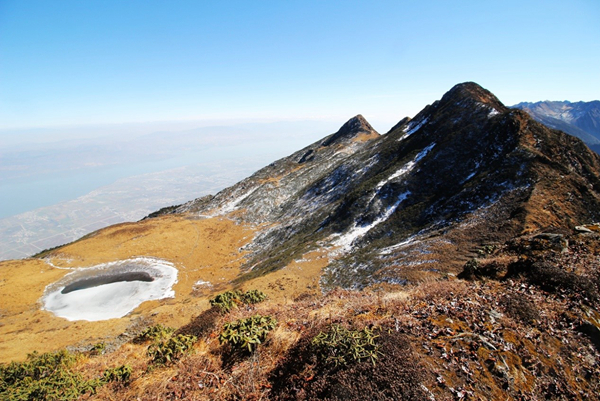 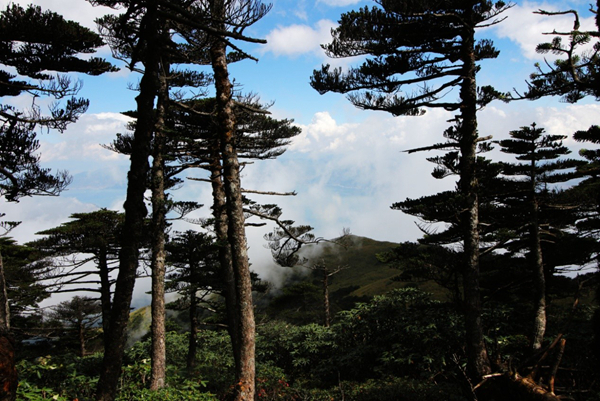 View from the 4050 metre (13,290 foot) summit with several other independent summits overlooking the highest and largest pond of the entire Cangshan mountain range. 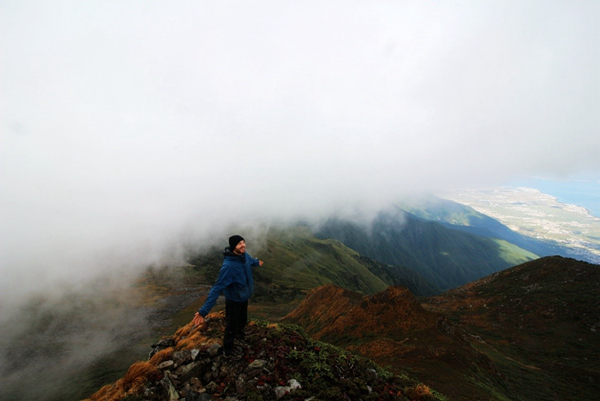 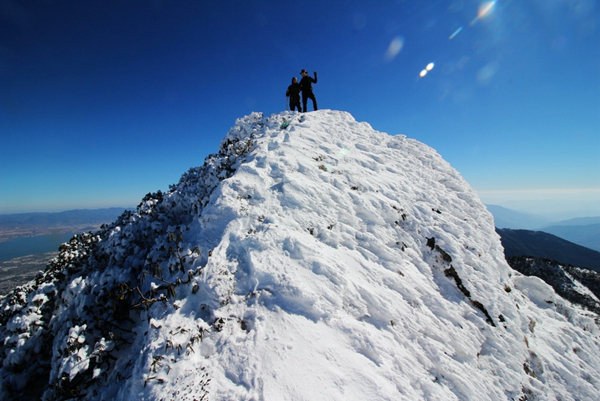 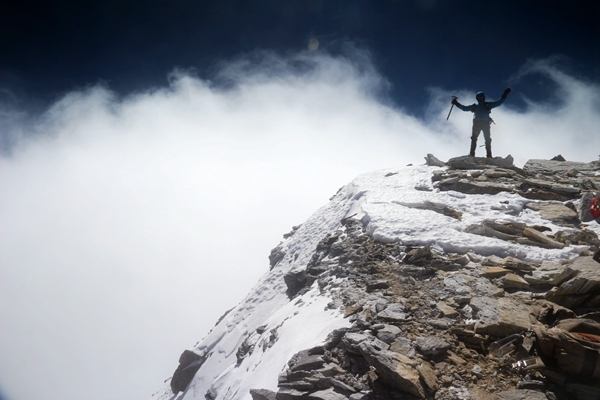 Standing on one of Cangshan mountain’s 19 independent summits at 4050 metres (13,290 feet)! 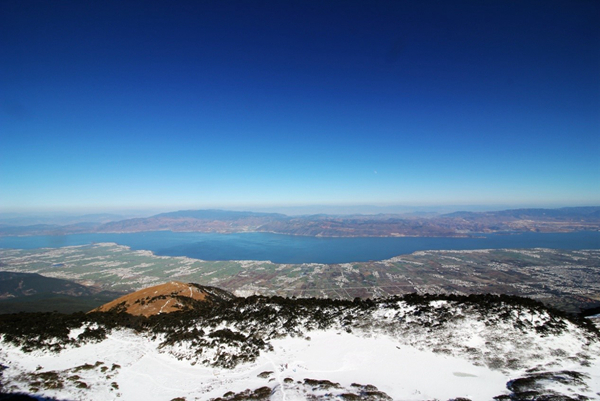 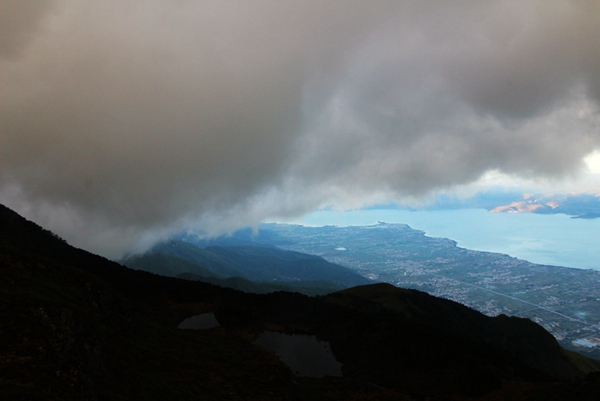 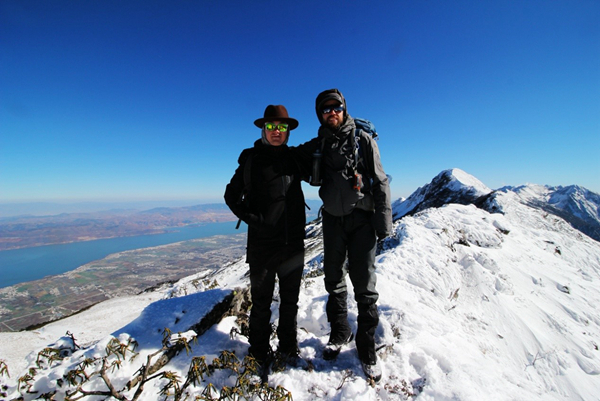 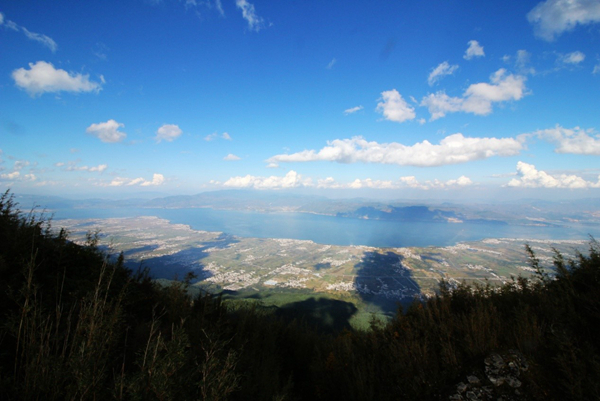 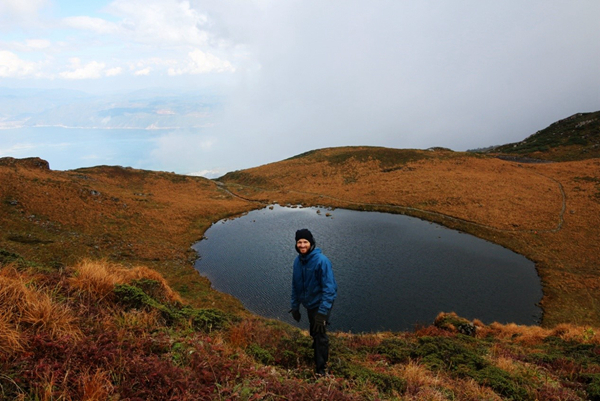 With Erhai lake more than 2000 metres below, the views from the summit are awesome, indeed, on a clear day. 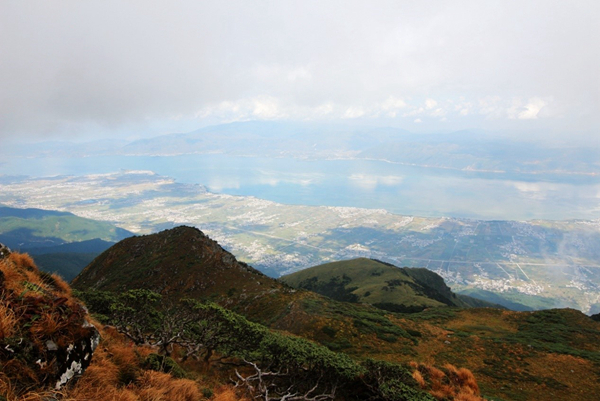 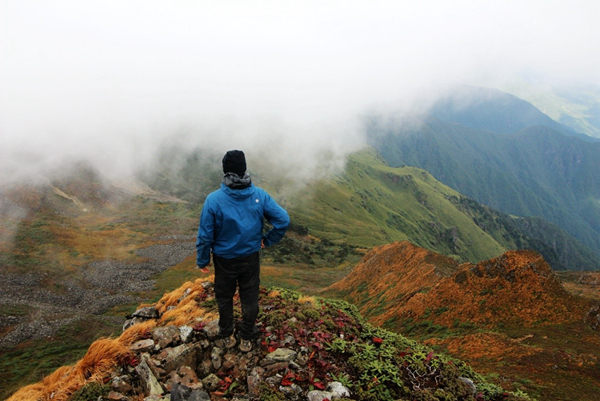 No matter what the weather is like though, it’s always satisfying to stand on the summit of Cangshan mountain! 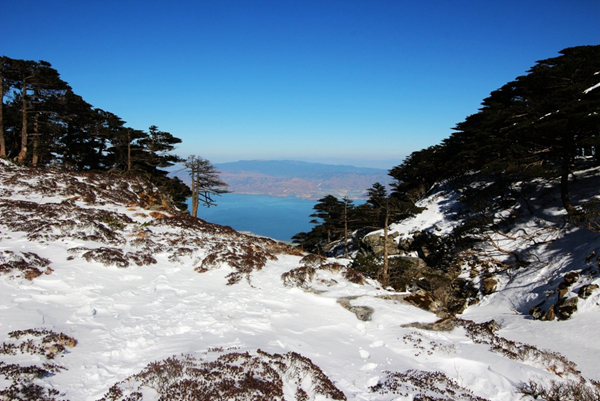 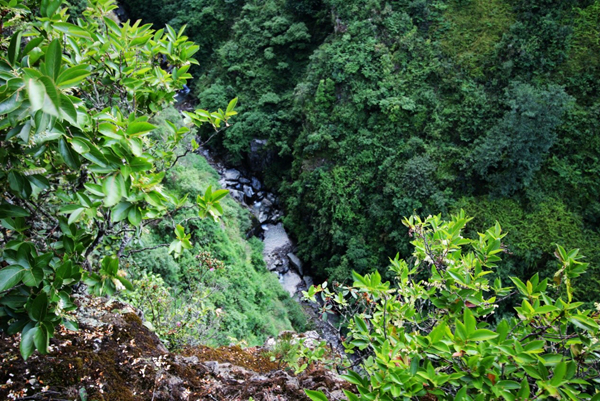 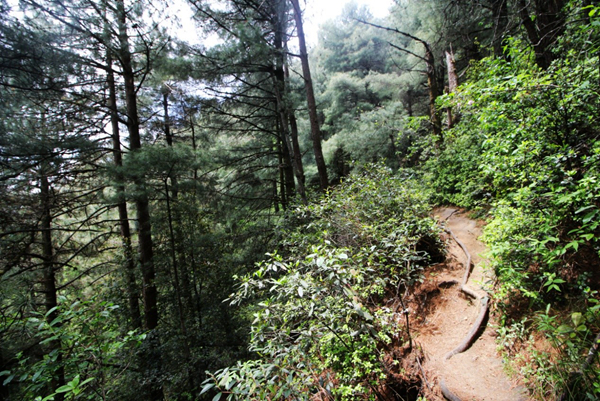 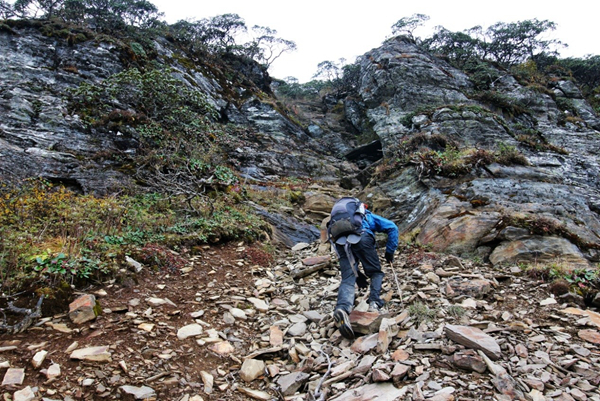 Depending on pace and conditions on the mountain (for example, snow or no snow), it takes between 3-4 hours to make it all the way back down the mountain to Heyang village. 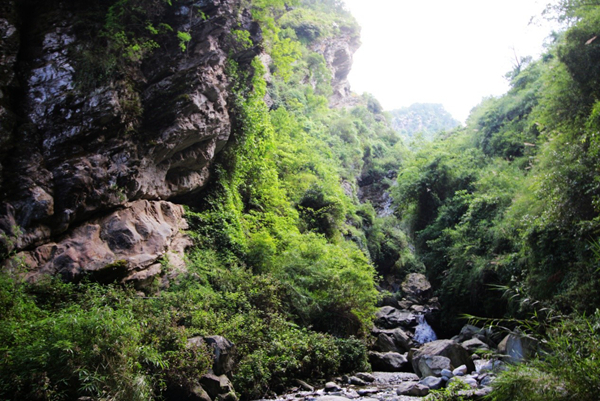 Our driver will be waiting for us in the village to drive us back to Dali Old Town.